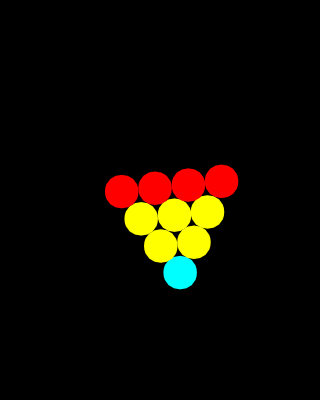 Grav is a simulator for gravitational interactions between multiple bodies. Explore multiple pre-made systems, or create your own systems, and watch them evolve in time. You can navigate by flicking the screen to jump in a direction, or by dragging the screen to move smoothly through space. You can zoom in and out using pinching gestures. You can pause/resume the simulation by tapping the pause/play button, and you can toggle several simulation settings, including rotating reference frames and loading new systems, by tapping the settings button. Hint: Try the Sun-Jupiter system with Toggle Trace and Rotate Frame turned on.